My first ever job was working in the kitchen of my local pub! I spent my Saturdays peeling hundreds of potatoes ready for Sunday roasts and cleaning up after their very messy chef! I have always worked within the service industry because I love working with people and in my role now, building relationships with my clients. From the pub, I started working in a clothes shop throughout sixth form. 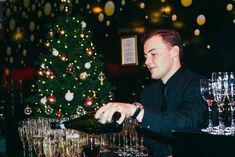 Once I finished my A Levels I went into my first job in the events industry which was in hospitality, during my gap year. From there, my love of events grew and grew! In our industry, and especially within our attractions, not one day is the same and I never know what to expect on my commute to the office! One of the more normal days will include show rounds with potential and existing clients, liaising with suppliers in preparation for upcoming events and team meetings to try and come up with new ideas for our business! It is not as glamorous as it sounds! We all get really stuck in when we are working on events and have all spent many an evening lugging around furniture or the dreaded 3am finish when you should be in bed but instead are politely waiting for the last supplier to pack up and leave. 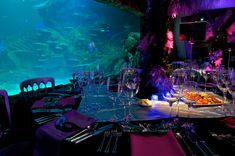 The most interesting event to me was an event I managed at SEA LIFE London Aquarium for the launch of a new children’s film. It was for a popular young girl’s toy and the whole venue was turned pink for one evening! I loved working with my client to transform the venue into something completely different. I am used to corporate events at this venue so it was great to see it transformed into something so unique! The look on the little girls faces when they came in to the main event space was priceless… a really rewarding event! Another venue that I would work for would be London Zoo as I just love animals! I always wanted to be a zoo keeper when I was young so an events job within a zoo would just be perfect! I would own an elephant sanctuary! I love these animals; did you know they are the only other mammal that mourns when someone they know dies. Cute! I think I would have to pair it with a B&B facility so people could come and stay and spend a few days with the elephants. That way I could still work with humans and not just elephants, and stay within the service industry. I love a good holiday and am slowly but surely making my way around the world! My favourite holiday destination is Sri Lanka and I spend every Christmas and New Year there with family and close friends. Surfing and cocktails every day is the perfect life to me!